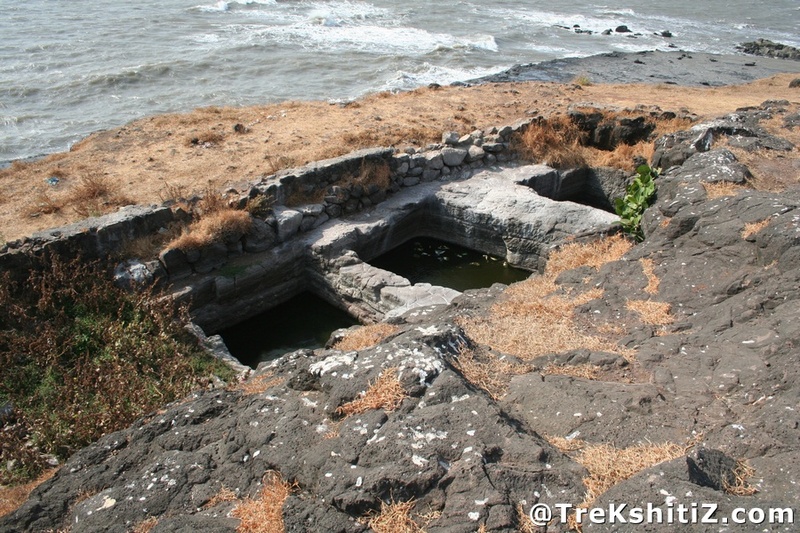 To protect Suvarnadurga, 3 forts named Goa fort (not to be confused with Goa state), Kanakdurga and Fattegad were built on the coast near Harne village in Maharashtra. Amongst these, Goa fort is comparatively large and is still in good shape. The area of the fort is around 5 hectares. It is not known when the fort was built. Kanakdurga is built on a huge rock. There are rock steps to ascend the fort. Some ramparts do exist, with water tanks on the top. There is a lighthouse on the fort. To the left side of the steps is a strong bastion built in black rock. The rock on which the fort is built has been carved out for the same. We can reach Harne village via Dapoli from Mumbai.